You may receive updates from OnlyMerrick.com, the sponsor of this petition. You may receive updates from Daniel Savage, the creator of this petition. With the breaking news that Supreme Court justice, and swing vote, Anthony Kennedy is retiring, Democrats must say: ONLY MERRICK GARLAND. Sign the petition! 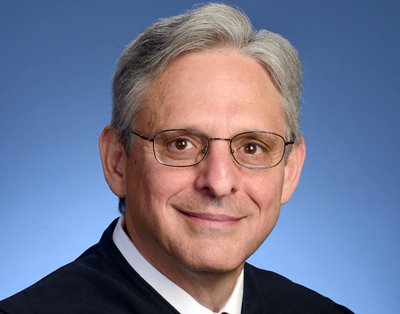 Mitch McConnell stole Merrick Garland's Supreme Court seat. 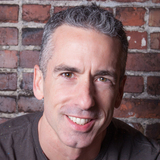 Democrats must right that wrong, and Dan Savage, John Aravosis, and Cliff Schecter have created OnlyMerrick.com to do just that. Democrats needs to announce that they will support no nominee for an open Supreme Court seat other than Merrick Garland. No other nominee will get a hearing, no other nominee will get a vote. If Donald Trump has the opportunity to nominate a new justice, Democrats need to be clear and unified: Only Merrick gets a hearing, only Merrick gets a vote. Unless the nominee is Merrick Garland, there will be no movement on Supreme Court nominations until AFTER the election, just like Republicans did with Barack Obama. This isn't retaliation, this isn't an eye for an eye. This is righting the ship. Merrick Garland should be on the Supreme Court. President Obama nominated Garland—a centrist justice with Republican support—and Mitch McConnell tore up the rules and blocked Obama’s nominee. Democrats cannot let that stand. They can and must let the GOP know they are prepared to hold the seat open until Merrick is seated or until a Democrat is back in the White House — whichever comes first. CNN's Jeffrey Toobin just said that with Kennedy gone, abortion could become illegal in just 18 months. And Kennedy was a key swing vote in FAVOR of LGBT rights like marriage equality. With Kennedy gone, Trump, McConnell and Ryan could do even more damage to LGBT civil rights than they're already doing. Democrats suffer from "set-a-good-example-itis." Democrats think if they just play by the rules, it will shame the Republicans into playing by the rules. But Republicans have no shame. Democrats have to play hardball and let the GOP know that they can play hardball too. Sign our petition and tell Congress: It's Merrick Garland or no one. PS Dan explains the campaign here. Democrats needs to announce that they will support no nominee for an open Supreme Court seat other than Merrick Garland. No other nominee will get a hearing, no other nominee will get a vote. Democrats need to be clear and unified: Only Merrick gets a hearing, only Merrick gets a vote. Otherwise, there will be no movement on Supreme Court nominations until AFTER the election, just like Republicans did with Barack Obama.